Shopping for anglers is frustrating; but for the person on the receiving end, there’s a guaranteed stint in the return line! 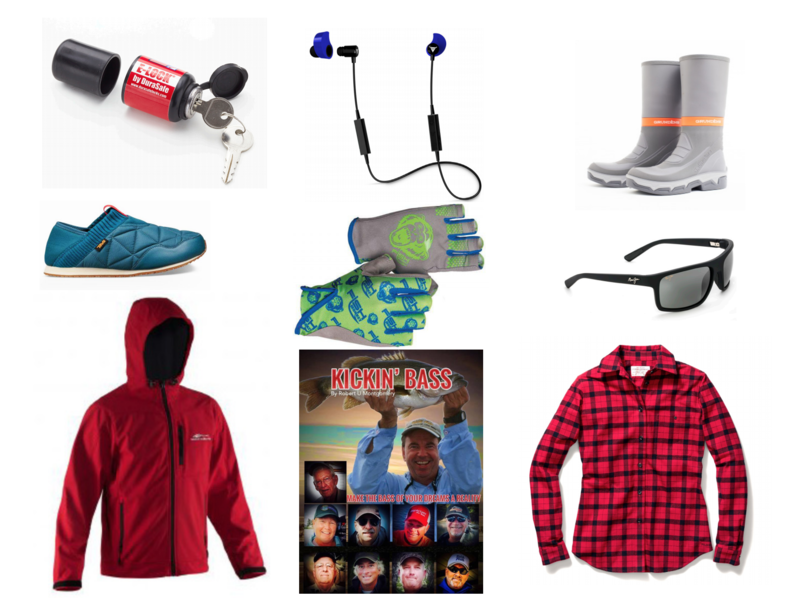 Choose gifts for on and off the water! Gift certificates are great. Online, catalog and brick and mortar stores are loaded with outdoors gifts. But the best gift of all is time on the water. Find a buddy, a spouse and especially a child, and go fish! Target hard cover near drops as fish prepare to head into winter holes. Use Quantum spinning rods with faster Quantum Smoke reels and downsize to GAMMA 6-pound test Edge fluorocarbon either as a main line or leader with 15-pound test GAMMA Torque braid. Reels with smooth drags are important, like the Quantum Smoke. Drop shot, shaky head, and split shot are best bets. Use Mustad 1/0 Mega Bite hooks along with 3/16-ounce Water Gremlin BullShot weights for drop shots and split shots. MIZMO’s BarbWire head keeps baits in place and increases hook ups with 5-inch Doodle worms. MIZMO also makes great 3-inch grubs and tubes. Use 1/8-ounce heads for both. Also break out Punisher hair jigs with matching chunks. Use slow horizontal presentations. Soak soft plastics and jigs in Jack’s Juice garlic bait spray. Also time to tie on Silver Buddy lures. Use ½ ounce on 10-pound test GAMMA EDGE on casting reels like QUANTUM VAPORs on KVD Quantum spinnerbait rods with enough tip flex for casting and hook-setting backbone. Mann’s Loudmouth II cranks on 10-pound test EDGE work along warmed surfaces. Use shad patterns in clearer water or sunny days, craws otherwise. On warmest days, try suspending jerkbaits when water reaches 50 degrees. « The Art is The Thing!